I am an aficionado of the past.The magic of a bygone era .It is almost sacrilege to say this but I miss the cold war .We knew who our enemy was .MTV still played music and all our rock stars were still alive.It took talent and hard work to be famous on TV or the radio instead of a youtube clip so to say I am a fan of the past in an understatement.Movies have gotten better thou so it is a give and take scenario .With that being said , let us dive into this movie and the whole recent plethora of cold war interest resurgence. The movie takes place in 1989 at the end of the cold war and Berlin is the center of the center of the action . Charlize Theron is one of the most versatile actress on the planet and not only does justice to this role she she shines in it .An old favorite John Goodman plays a small but pivotal role and James McAvoy is the other costar .McAvoy I first encountered in the UK version of “Shameless” and I have enjoyed all of his work since . The movie is a non stop action packed thriller similar to the action of the Bourne films but with out modern technology and gadgets.The plot and story is believable and well written and direction and editing are top notch . Do not let this movie slip by see it in the theaters if you can .The nostalgia of the cold war can bee seen in movies like this , serious television such as ” The Americans” and the spoof series ” Comrade Detective ” currently seen on Amazon .So the past might not have been as good as we remember it to be but maybe just a bit more enjoyable to watch now.I give this film 3 and half stars out of 4 .Highly recommended. 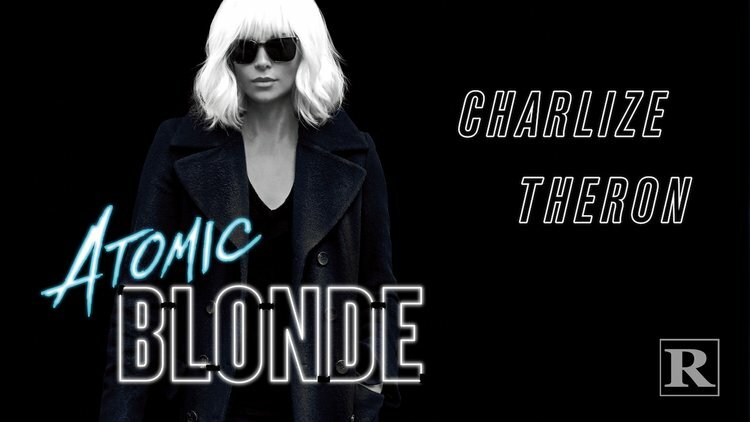 Atomic Blonde is a 2017 American action spy thriller film directed by David Leitch, in his first solo directorial credit, and written by Kurt Johnstad. It is based on Antony Johnston and Sam Hart’s 2012 graphic novel The Coldest City, published by Oni Press, which revolves around a spy who has to find a list of double agents who are being smuggled into the West on the eve of the collapse of the Berlin Wall in 1989. The film stars Charlize Theron and James McAvoy, with John Goodman, Til Schweiger, Eddie Marsan, Sofia Boutella and Toby Jones in supporting roles.